Everything you need to enjoy every minute of Jeri! 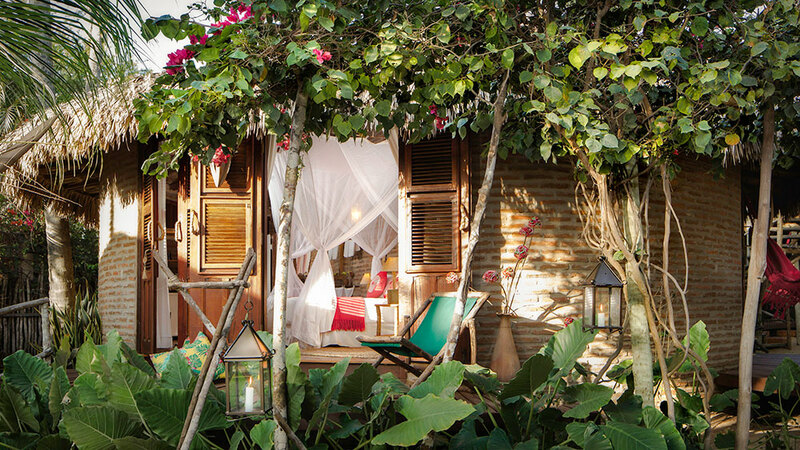 Our 24 accommodations are divided into Apartments, Bungalows and Stilted Cabanas. 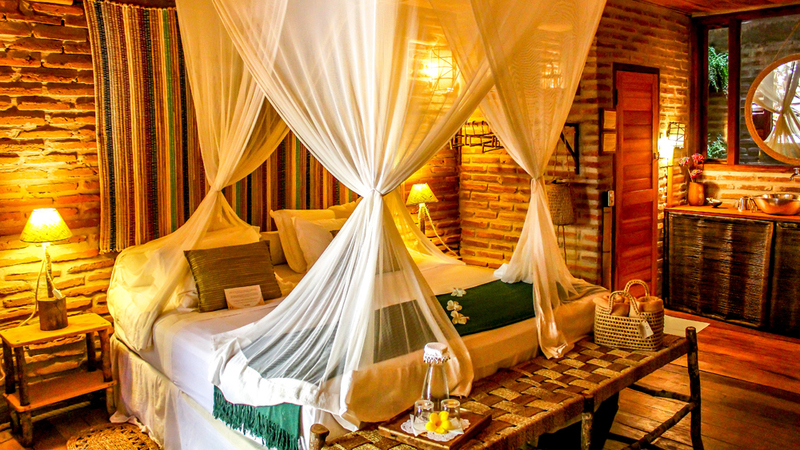 They include king size beds, cotton sheets, mini fridge, security safe, wi-fi, fans, and some have air conditioning. 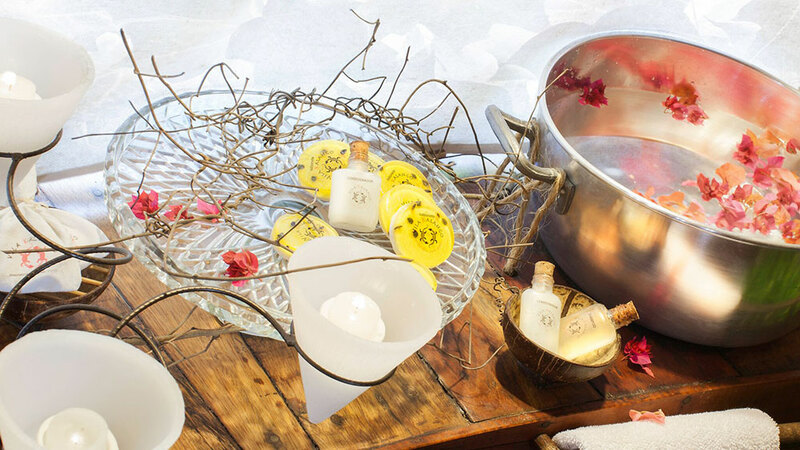 Here you will find that everything is made with care, and invites you to relax and disconnect. We do not have TVs in the rooms, but we do have a cozy TV room available where all channels can be enjoyed by our guests. The 8 Bungalows are spread throughout our garden. 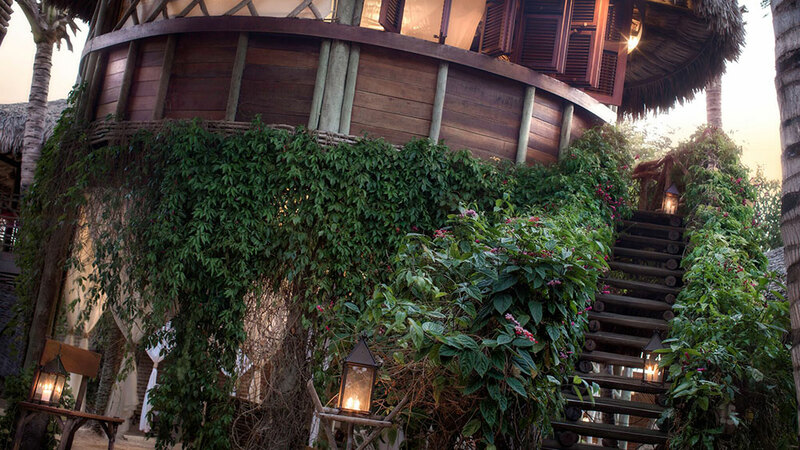 Our 4 Comfort Apartments are located at the top of the lodge. Overlooking the garden and tree tops. 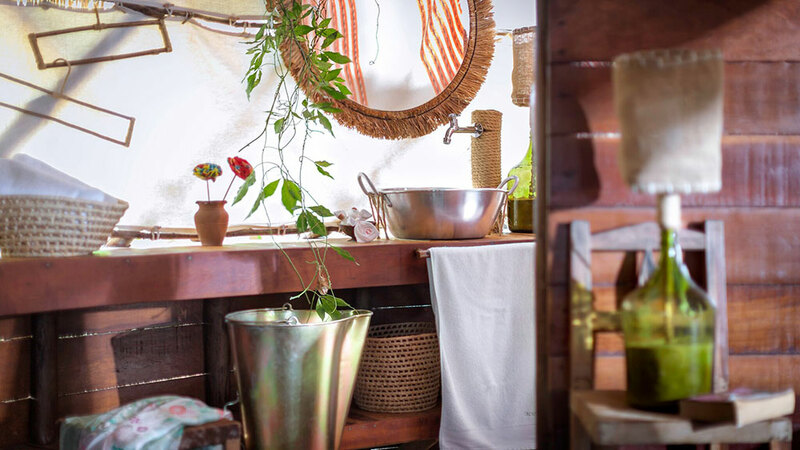 They are larger, with 45 square meters of space and air conditioning, so they are ideal for families of 4 people. 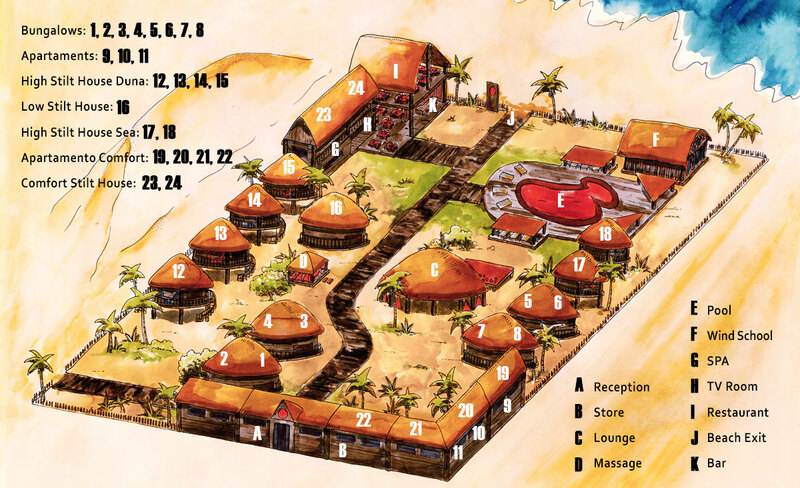 We have 3 Apartments that are located near the reception. 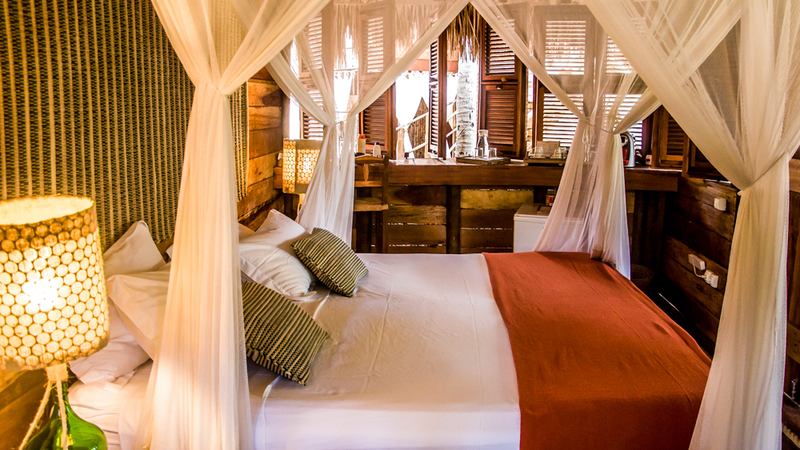 They guarantee comfort with air conditioning and a beautiful view of the garden, and are perfect for up to 3 people. 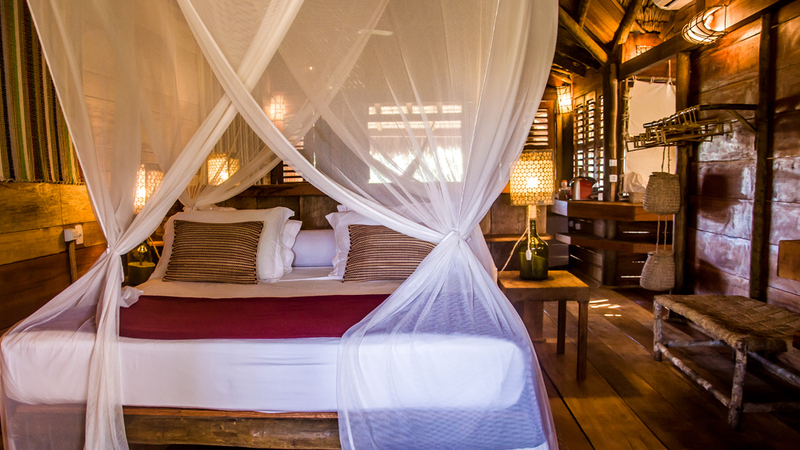 Our High Stilt Houses were designed to receive the good winds of Jeri, so no air conditioning is required. 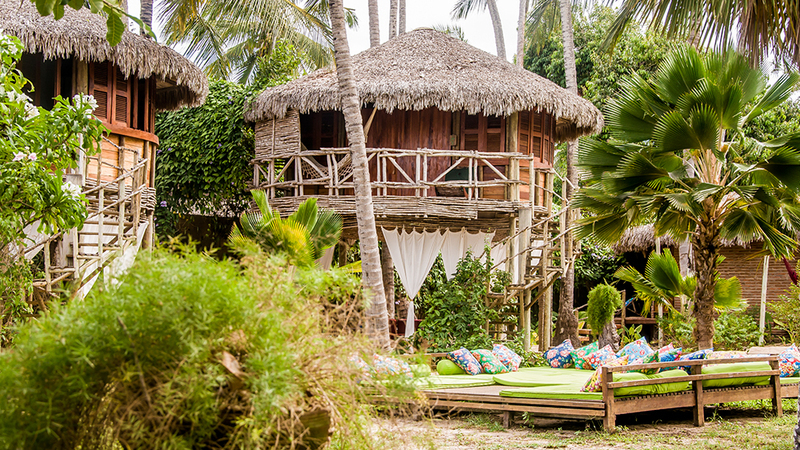 If you enjoy a beautiful view, you will love our Stilt Houses. 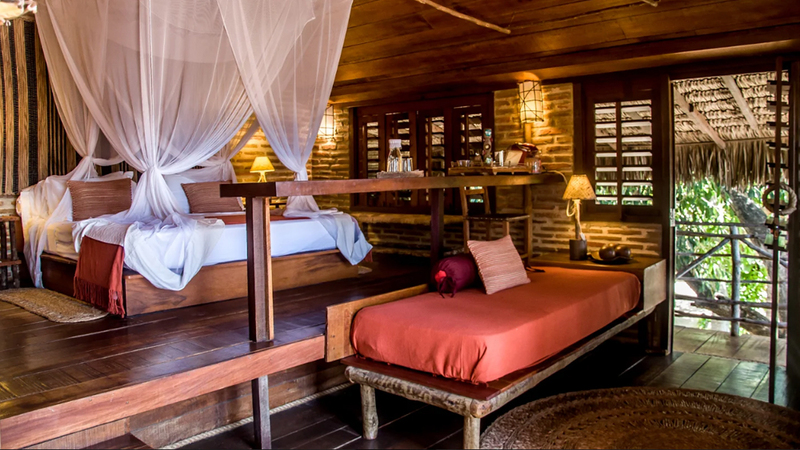 We have 6 High Stilt Houses with 28 square meters of space, all built on eucalyptus wood pillars and suspended 3 meters from the ground. Here you can enjoy the 180º view of our hotel and the wonders of the region. Ideal to enjoy with your loved ones. 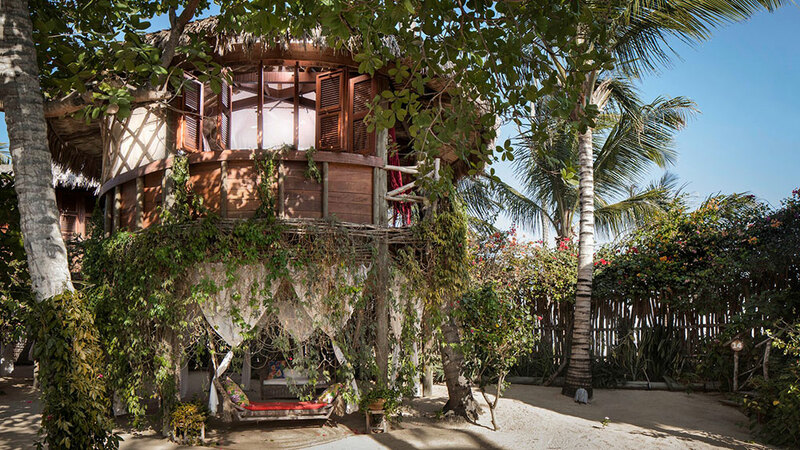 There are two options: High Stilt House Sea and Dune. 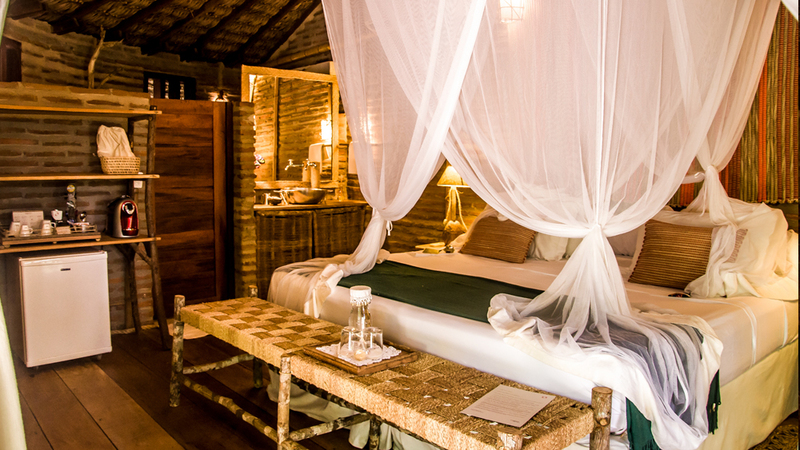 If you prefer to enjoy your time with the family, our 2 Comfort Stilt Houses can host up to 4 people. They are 45 m², with two balconies, air conditioning and ceiling fan. One overlooked the sea, and another overlooked the dune. That is, no matter where you look, you will have a breathtaking view! We have 1 Low Stilt House, the only one on the ground floor, but with the same structure of the high stilts.